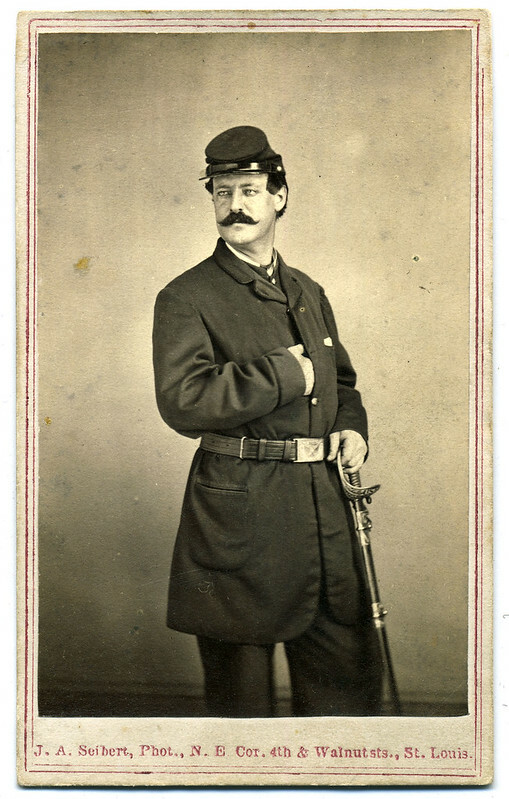 Union officer Charles H. Shepley had loaded revolvers on countless occasions. But on March 21, 1862, something went horribly wrong. Shepley was loading it when it suddenly discharged. In one awful moment, a lead slug tore through him. Shepley was no stranger to firearms. 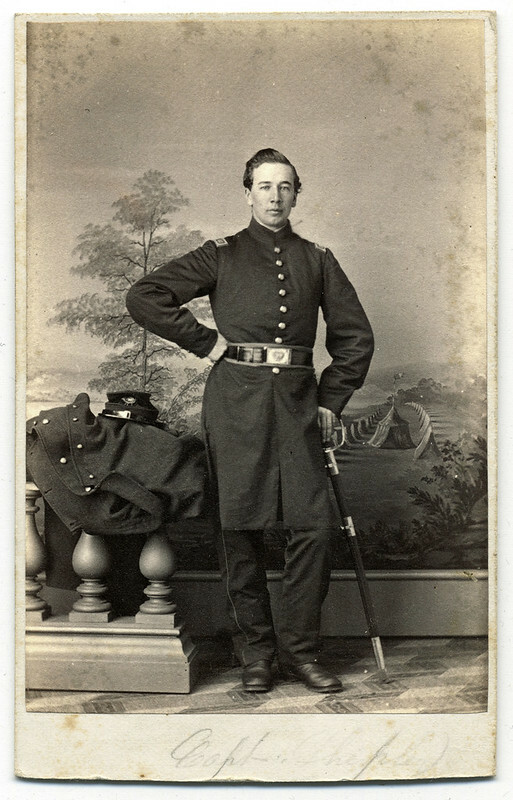 Back in 1856, soon after he and his family had relocated from Vermont to Chicago, 15-year-old Shepley joined the National Guard Cadets, a militia group formed by Col. Joseph R. Scott. The organization was taken over by the young and charismatic Col. Elmer E. Ellsworth soon after and turned into a crack drill team that toured the East. They were met by throngs of cheering citizens impressed with the discipline and precision of Ellsworth, Shepley and the rest of the boys. 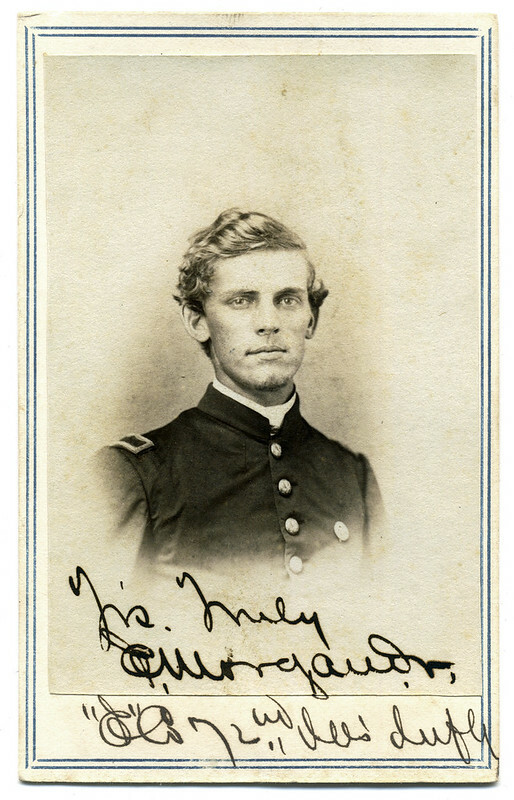 When the war started, Shepley became an officer in the 19th Illinois Infantry, a regiment originally commanded by his old senior officer, Col. Scott. This was in the spring of 1861. Shepley started out as a second lieutenant in Company K and soon advanced to captain. His story can be found in Martyrs and Heroes of Illinois. 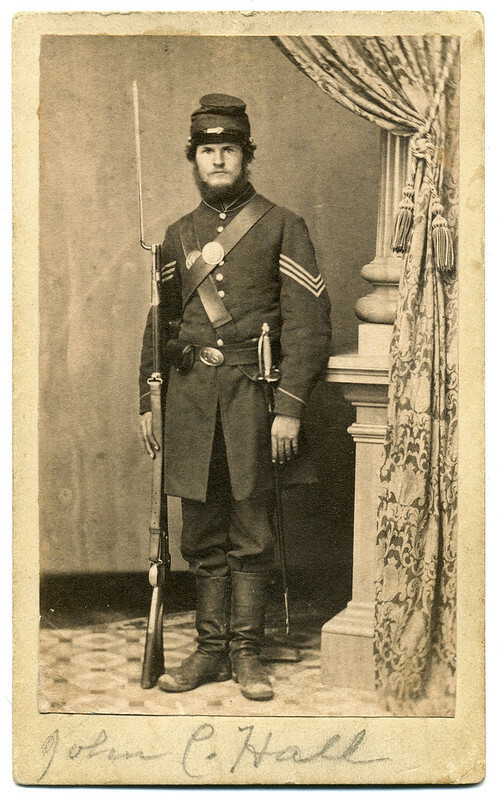 John Caskey Hall (1842-1907) served in the 16th Ohio Infantry from 1861 to 1864, during which time he worked his way from a private to sergeant in Company C. He fought in the June 3, 1861, Battle of Philippi, W.Va., considered by some as the first land battle of the Civil War. Hall went on to participate in the Vicksburg Campaign. He suffered a concussion in the May 19, 1863, assault on the formidable defenses of Vicksburg—the first of two failed attacks by the Union army that prompted Maj. Gen. Ulysses S. Grant to ay siege to the fortress city. Hall also served in the 102nd Ohio Infantry. After the war he returned to his home in Wooster, Ohio, where he operated a coal business. He wed in 1874 and started a family that grew to include a daughter and two sons. His wife died in 1897, and he remarried. 800 federals, including Capt. Spencer W. Snyder (1841-1920) and his comrades in Company D of the 169th New York Infantry, were on the picket line at Foster’s Plantation, Va., when attacked by Confederate troops on the morning of May 18, 1864. The Union troops were initially forced back, but rallied. Snyder was wounded when a bullet struck him in the shoulder. Initial accounts state the wound was not serious, but later reports note that the bullet became lodged in his shoulder and could not be removed. At his death, he still carried the Confederate lead in his shoulder. 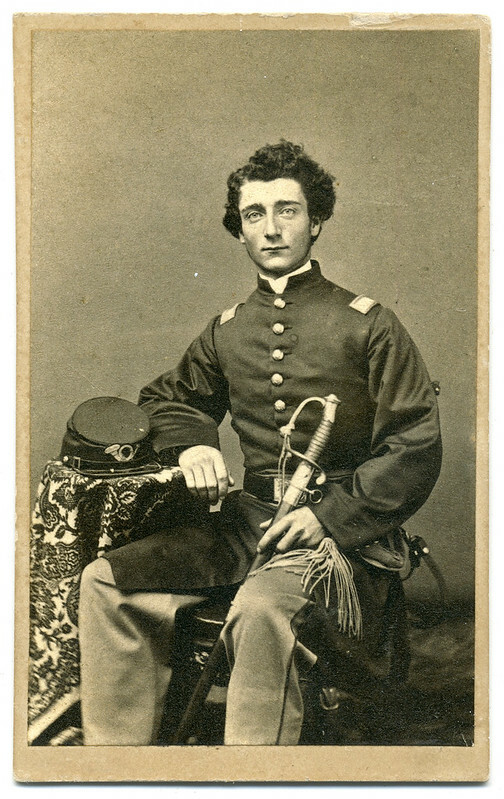 Elisha J. Morgan Jr., a founder of the Chi chapter of Beta Theta Pi fraternity (closed 1988), enlisted as a private in the 72nd Illinois Infantry in the summer of 1862. The regiment spent the majority of its three-year enlistment in Louisiana, Mississippi and Tennessee. It was heavily engaged in numerous operations, including the May 22, 1863, assault against the defenses of Vicksburg and the 1864 Battle of Franklin. Morgan survived the war and mustered out as captain of Company K in August 1865. His portrait, a gift from Photo Sleuth columnist Kurt Luther, is much appreciated. I’ve written about another officer in the regiment, Lt. Col. Joseph C. Wright. His story, “The Last 15 Feet at Vicksburg,” appeared in Disunion. This image is available on Pinterest, Tumblr, and Flickr. English-born William Chippendale signed and dated the back of this image Sept. 1, 1862. He served as the original captain of Company E, 22nd New Jersey Infantry, during the regiment’s nine-month term of enlistment. Chippendale died in Los Angeles, Calif., in 1914. This image is new to my collection, and is available on Pinterest, Tumblr, and Flickr. 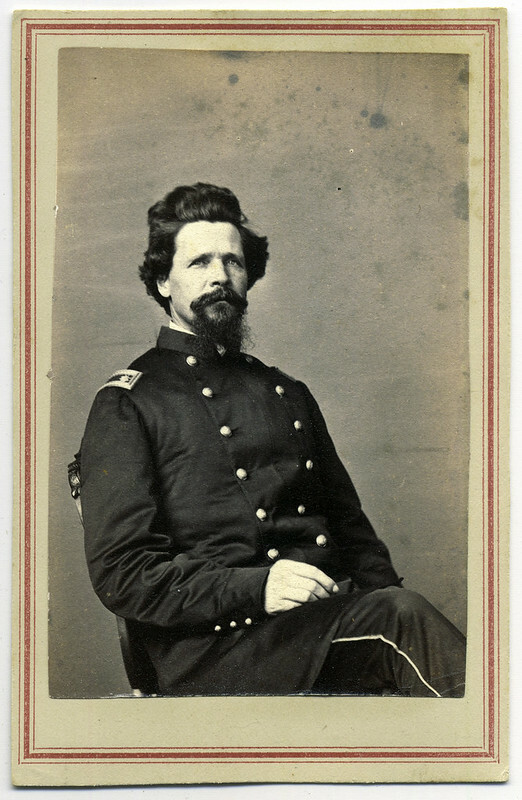 John Clark Dutch (1821-1895) served in the Union navy from 1861 until 1866 as an acting master. Perhaps his finest moment in uniform occurred on April 9, 1863, at Edisto Island, S.C. As commander of the bark Kingfisher, he learned from two “contraband” slaves that rebel pickets were stationed on Edisto Island, where they reported on federal army and navy activity in the area. About 6 p.m., he and 35 of his men, and 10 contrabands, left the Kingfisher in two boats and rowed to the island. There they surprised and captured nine Confederates from the Third South Carolina Infantry and made them prisoners of war. About a year later, the Kingfisher grounded and wrecked on Combahee Bank in St. Helena Sound, S.C.
John H.J. 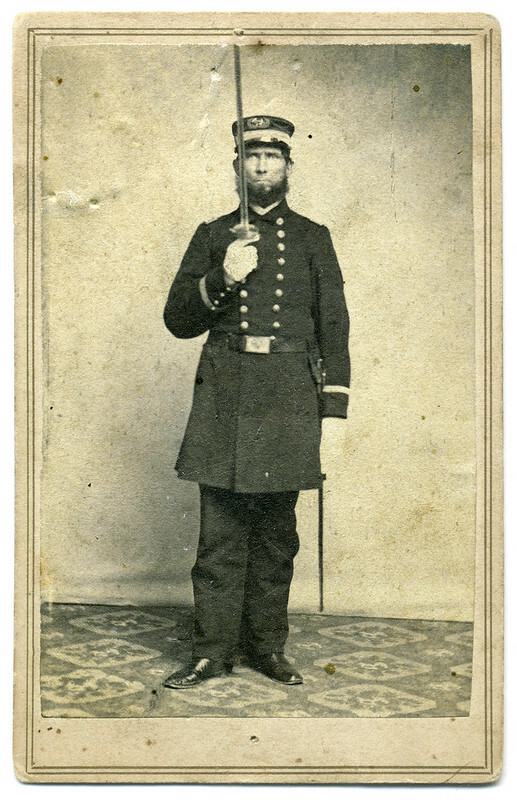 Lacey, a resident of Effingham, Ill., started his Civil War service in April 1861 as a lieutenant in the Eleventh Illinois Infantry. 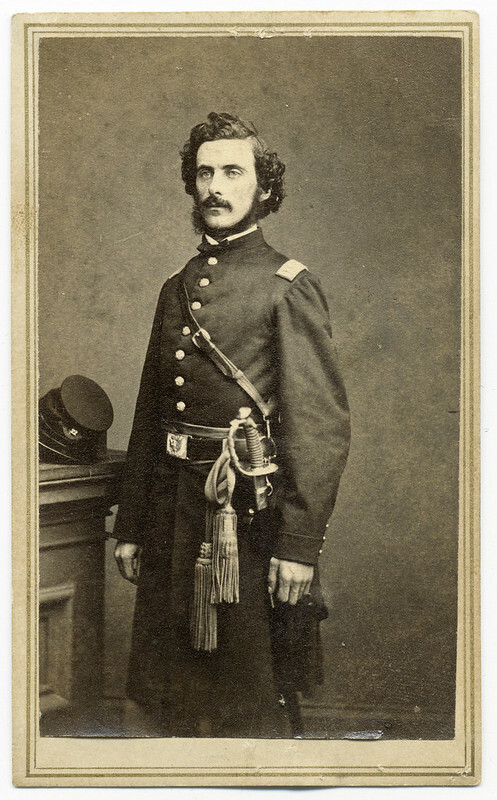 After his three-month term of enlistment expired, he became adjutant of the 98th Illinois Infantry. He spent the majority of the war with this regiment and participated in numerous engagements throughout the South, including the Battle of Chickamauga and the Atlanta Campaign. 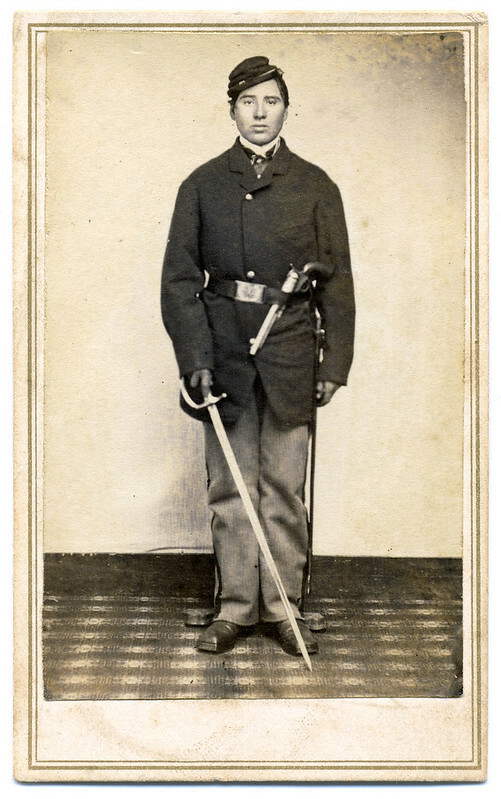 In February 1865, Lacey left to become adjutant in the newly-formed 155th Illinois Infantry. This regiment served primarily in Tennessee, and mustered out of the Union army in September 1865. 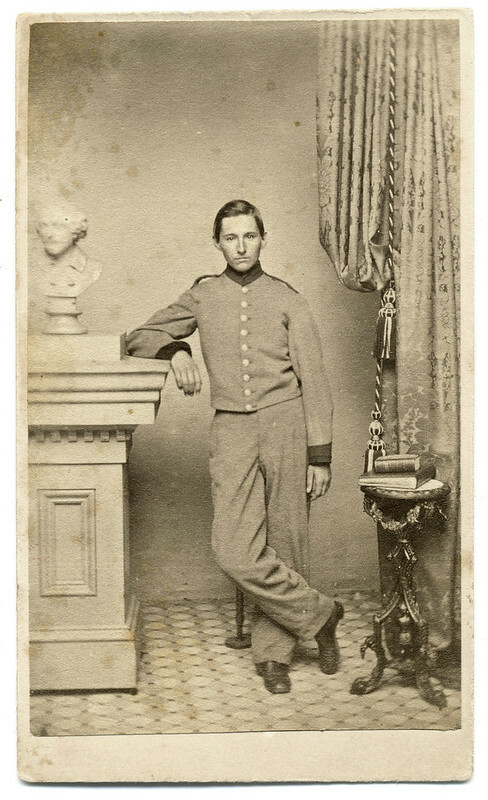 This carte de visite is new to my collection, and is available on Pinterest, Tumblr, and Flickr. Crockett survived the war and lived until 1915. David “Davy” Barnum seems to have spent much of his life in some sort of trouble. Alabama-born and loyal to the South, he was about to be expelled from the U.S. Naval Academy when the Civil War began. He left the Academy and joined his late father’s militia company, which had become part of the 5th Alabama Infantry. In camp, episodes of drinking and brawling were routine. In battle, he was a proven fighter—and a forager. At the Battle of Gettysburg, he turned up after the first day’s fight with a haversack full of candy, lemons and other niceties from town and distributed them to his comrades. But his true love was the sea, and he eventually transferred to the Confederate navy. His career as a sailor was short-lived, however, as the Confederacy needed infantrymen and ordered Barnum back to the 5th. He left the regiment during the waning days of the Army of Northern Virginia, and made his way to Chattanooga, Tenn., where he signed the oath of allegiance to the federal government. According to his former captain, Barnum died in St. Louis shortly after the end of the war. This carte de visite is new to my collection, and will be included in my forthcoming book about the Union and Confederate navies. It is available on Pinterest, Tumblr, and Flickr.